Can you think of a more iconic American muscle car than the Ford Mustang? Since 1964 the pony has been adored worldwide but is especially loved by Americans. 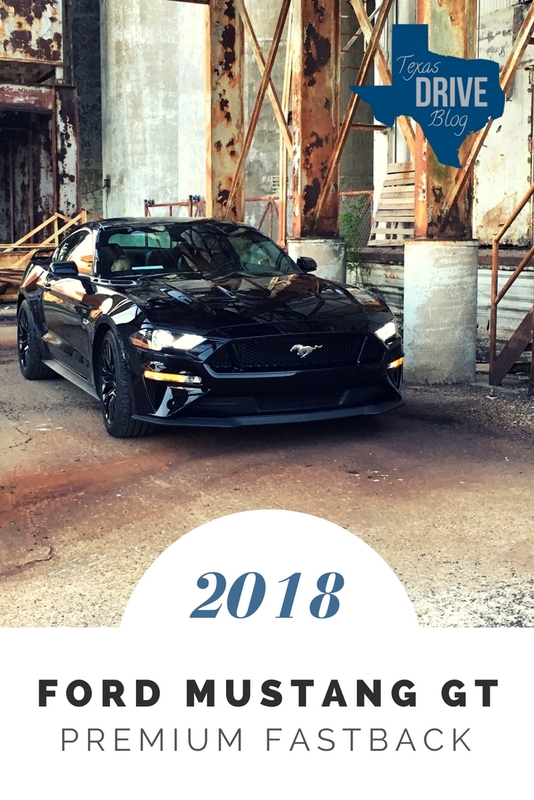 54 years later, the 2018 Ford Mustang GT is still winning hearts. 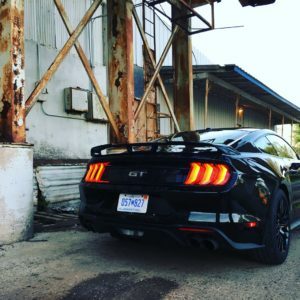 I got to spend a week with a 2018 Ford Mustang GT Premium Fastback and enjoyed every second behind the wheel. I still remember the day my parents said we could get a horse. Our first mare was a small Morgan, just barely tall enough to call a horse. I fell in love the day we brought her home and I’ve felt a special connection to horses ever since. My dad inherited a 1973 Mustang Grande with a 302 engine that his big brother had bought and rebuilt. I never saw that car, but I’ve heard stories about it all my life, and somewhere along the line, the bug bit. 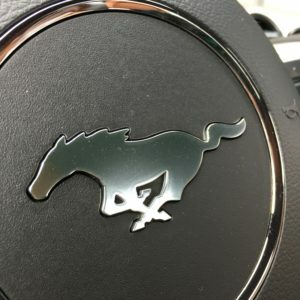 And just like my first horse, my dad’s Mustang stories caught my imagination and as I sat stroking the outline of the pony on the steering wheel of the 2018 Ford GT I got to drive for a week, I realized I’ve been in love with this car for a very long time. I’m not the only one of my siblings to have inherited the obsession. One of my sisters has a classic ‘65 on her wishlist and a younger brother just brought home a bright red 2017 3.4L Mustang that sits in my driveway every single day and makes me drool. People always ask me, “Why the Mustang?” when I put it at the top of my list of favorites. Why not a Challenger, or Corvette? Of course, there are more powerful muscle cars on the market. Bigger, bolder, faster. Maybe even louder. I’ve driven many of them and I’ve enjoyed them all. But none of them puts a smile on my face like a good ol’ Mustang GT. I recently got to take a hot lap in one on a racetrack and had the time of my life. And the whole rest of the day I’d smile as I heard the 2018 Ford Mustang GT make its way around the racetrack, making other people’s dreams come true. I really didn’t think I’d be getting over 20mp in a 5.0L V8, but I averaged 24mpg in this car, even in sport mode. Of course, my brother’s 2.3L Ecoboost gets more like 27, but I’ve driven that one and it’s just not the same as a GT. Sorry, little bro, I like my 460 horsepower and I’m willing to sacrifice a few mpg to get it. The model I drove came with Ford’s 10-speed automatic transmission, but it’s also available in a 6-speed manual. I had to pretend with the paddle shifters cause I’m not comfortable enough in a manual to drive the real thing at high speeds. Ok, so I’m an iPhone user. Cars have had Apple Play for a while. 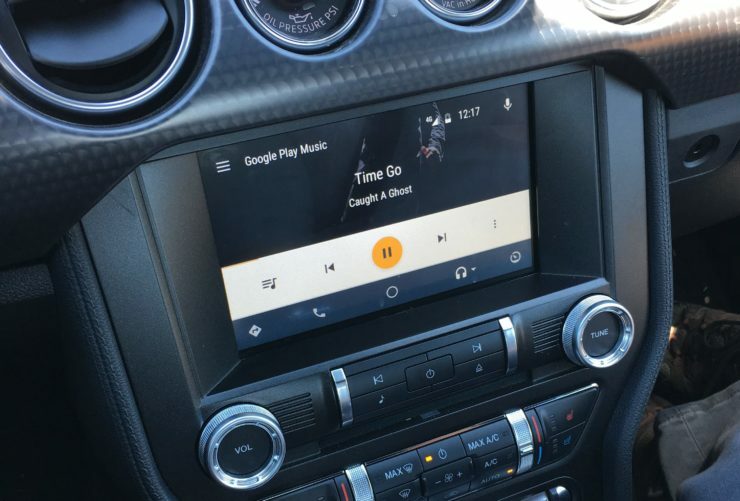 But this was our first time getting to try Android Auto and it blew us both away! My husband is a devot Android user and he had a great time figuring out how this worked, then playing his own music from his phone.